Truck Accident Personal Injury Lawyers in La Verne, California Do You Need Legal Assistance From Trusted and Compassionate Truck Accident Personal Injury Lawyers and Wrongful Death Claim Attorneys in La Verne, CA? Truck accidents in Laverne cause serious injuries, property damage and sometimes tragic fatalities resulting in wrongful death claims. Our expert truck accident personal injury lawyers will provide complete legal assistance during your case whether you or a loved one was injured in a truck, car, motorcycle or any other kind of accident in La Verne, California. A truck accident may only take a few seconds to happen, but it has the ability to change someone’s life forever. In many truck accident cases, people are left struggling with debilitating injuries, damage to property, loss of transportation, loss of income and much more. Truck accident victims often fight their personal injury case alongside taking care of their injuries, keeping up with hospital and other medical bills, loss of income and other personal damages. But, you don’t have to do all this alone. You can contact us, for an ABSOLUTELY FREE & CONFIDENTIAL CONSULTATION. For more information on our experienced truck accident personal injury lawyers, please visit our home page. To know about our lawyers, feel free to check our lawyer profiles, and our personal injury & wrongful death case testimonial pages. To get in touch with our personal injury lawyers immediately, please call us at 818-222-3400 or 1.866 INJURY 2 (after hours, press “1”), or simply click here for our 24/7 contact information, for your FREE & CONFIDENTIAL consultation and case evaluation. 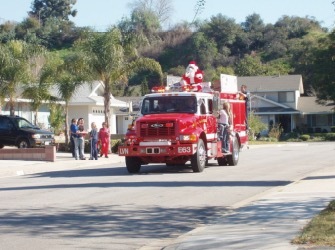 A small city in Los Angeles County, California; La Verne had a population of 31,063 at the 2010 United States census. La Verne is a suburb 30 miles east of Los Angeles. 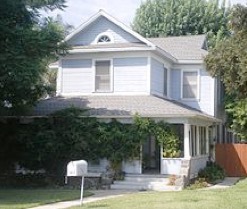 Its geographic location puts it below the foothills of the San Gabriel Mountains and the Pomona Valley. A memorable scene from the very famous 1967 film The Graduate, the finale wedding scene, was shot at the United Methodist Church of La Verne, instead of in Santa Barbara as depicted in the movie. 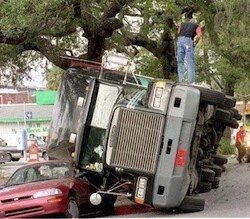 Truck accidents are among the most perilous accidents taking place on the roads in LaVerne and elsewhere in Los Angeles. Commercial vehicles like trucks and large vans, including 18-wheelers, pick-up trucks and other large vehicles, are many times heavier than the regular personal vehicles used for daily transportation. The momentum of these commercial vehicles on the road is huge, and when these trucks and other huge vehicles hit another vehicle, like a car or motorbike or even a bicycle, the result is often fatal for the passengers in the smaller vehicles, resulting in wrongful death claims. Transport companies have a diversified legal team working for them and protecting their business and creating a defense at every step of the way, including trained investigators, adjusters and experienced defense attorneys on unlimited budgets. So, if you were involved in a traumatic truck accident, you will have investigators, adjusters and sometimes even lawyers of these truck companies contacting you, trying to get you to make a statement that could later prove devastating to your case, or even get you to settle for a lowball offer. Do NOT give them any statements, Instead, this would be the perfect time to get the best truck accident personal injury lawyers on your side, backing you up and protecting your rights. Our expert, aggressive yet compassionate lawyers can ensure that you aren’t victimized twice, first in the truck accident and then again by the insurance companies. The insurance companies want to maximize their profits and pay you as little as possible! We will fight for you to make sure you have the best opportunity to win and get the maximum compensation for your losses. We Bring You Absolutely Free and Confidential Case Consultation! Contact us 24/7 quick and easy. Fill-out the details of your personal injury case in La Verne, CA and our legal experts will get back to you in no time. There is NO fee until you win and it is paid out of the recovery so please do NOT delay.